I presume that one hallmark of my eight loyal readers is their interest in following my observations about the Duluth School District. That’s understandable. I’ve been an integral part of the District for 12 years as a School Board member and many more as a curious and opinionated observer watching the District as an outsider. 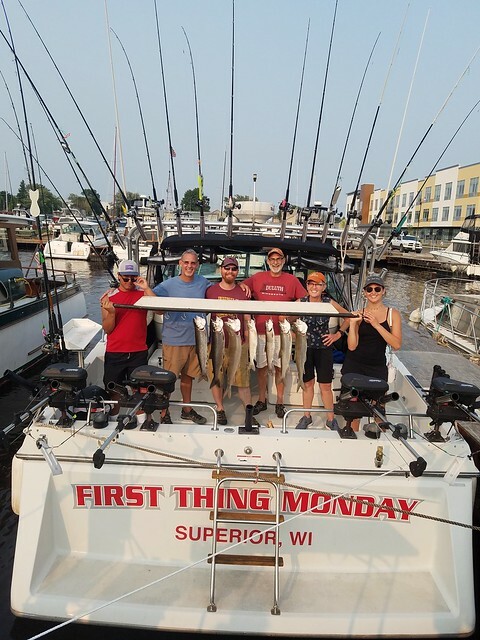 Well the past summer I’ve almost stopped posting about anything other than details related President Trump and my challenge of his new best buddy, Pete Stauber, and his congressional campaign. Well, that will change. Now I’m into France and back to my obligation to pontificate about the Duluth Schools. To that end I commend the latest column by Loren Martell in the Reader. Loren’s most valuable gift to Duluth is taking down the actual recorded quotes of our elected representatives during the mostly unwatched Duluth School Board meetings. Its a dreadful responsibility that he’s taken on. I will share one telling quote from the last meeting taken down by Loren with a few sharp observations but first you should know that I expect to diverge from Loren’s take on the biggest issue facing the District this November. That is the referendum for increasing local taxes to prop up the badly hobbled, Red Plan plagued District. I will support all three levels of increased support that the District is asking for. I know, I know! Property taxes are the most “regressive” taxes. They lean heavily on the poor both homeowners and renters and landlords giving the rich Red Plan crazed enthusiasts a pass. I know, I know! Passing the levy will allow a Superintendent I have little confidence in a victory that may saddle the District with his presence far into the future. I know, I know! The residents of Duluth have been taken for a costly ride on the Red Plan with no stop at Go to collect $200.00. I’m sorry. Our kids are worth it. The Congressional Republicans are raising hell about Joe Radinovich’s parking tickets. I hope that in this election guilt by association will be a bigger deal. After all Pete’s chief sponsor is the Commander and Chief a man strongly tempted to turn the Justice Department upside down and cancel an increasingly hot criminal investigation. Worse yet for Pete Stauber, the retired policeman, is his champion’s heinous “shithole” success in sending five innocent black kids to prison. Watch the 3 minute video with this Guardian story to see how Donald Trump does law and order. And don’t forget this longing look for another congressional accomplice to overlook Trump’s ballooning mismanagement of the United States. In recounting advice passed along to him from Vice President Mike Pence, he relayed the necessity of running a positive campaign. Of Arianna Huff he tweeted: . @ariannahuff is unattractive both inside and out. I fully understand why her former husband left her for a man- he made a good decision. I am a sucker for good cartooning and cartooning history. I even have one on snow sculpting and this one began with a fascinating forward by author/cartoonist Tony Husband which gave cartoonists the credit for being the canaries in a coal mine of political analysis. 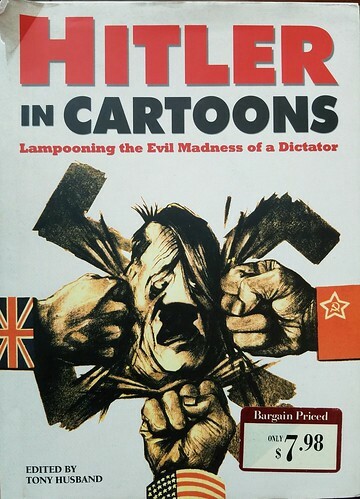 Hitler kept a collection of the cartoons that mocked him and a black list of the cartoonists he would deal with after taking over the world. Today’s cartoonists also have a larger than life buffoon to caricature. I tried doing him in snow. Folks who saw my old Bill Clinton On the Road video heard me say I always wanted to be a cartoonist. Hitler Nazi’s cheated to get elected in 1933 and the darned Republican Party has adopted the old southern Democrats voter suppression laws which prevented black voters from casting votes. Its one way the Republicans have shored up their shrinking majority and they are getting help from an emerging Republican majority on the Supreme Court to enhance and support this suppression. The Court let big money into campaigns with the Citizen’s United decision. The Court ended Federal intervention in states with long histories of racist voter suppression. Time after time the Court has OK’ed state laws restricting voter access in areas of poverty and high minority residence. And now, Donald Trump is promoting some of the worst offenders, among them Secretary of State Kris Kobach in Kansas and the even more despicable Brian Kemp in Georgia. These efforts at wounding Democracy in all the Red States are next of kin to fraud and dictatorship. The Book on German cartoonists shows early critiques of Nazi’s suppressing votes. I have always felt that an honest election is far better than a winning election. If you stand for something you should be prepared to lose while standing up for your cause. Republicans are no longer willing to take this chance even though fair and honest elections have generally kept the nation on the straight and narrow. By suppressing the majority under the guise of “the rule of law” you create dangerous bitterness and paranoia. The GOP has done a masterful job of denying the voting majority from expressing its will since the Supreme Court overruled the Florida courts ability to enforce its own elections in the 2000 Presidential election. 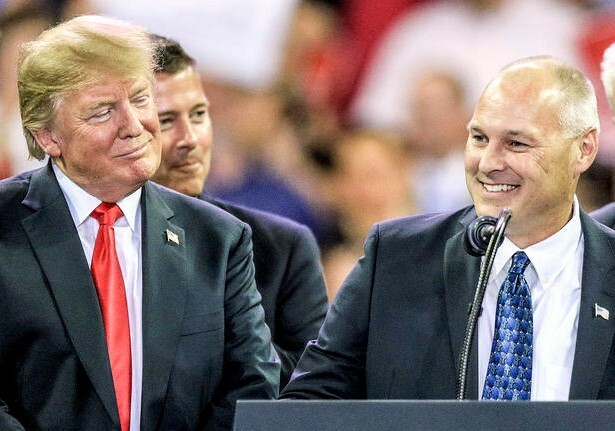 Donald Trump is poised to further poison voter confidence in honest elections and he’ll have Pete Stauber there to back him up if he gets his way. VOTE WELTY, a Republican for Democracy! My family posed under the marquee but they weren’t wearing 3D shades so I cropped them out for this post. 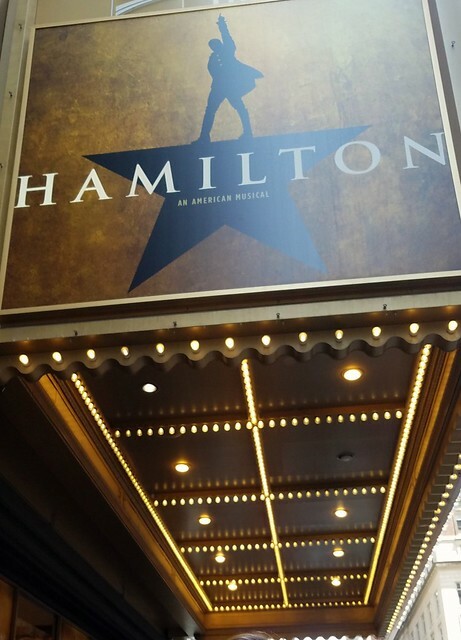 Hamilton the musical was worth every penny of this weekend extravagance. The history it is based on, authored by Ron Chernow, has been on my bookshelf waiting for me for about ten years. After I return from France I may tackle it. My breath is taken away by the audacity of Lin-Manuel Miranda to have envisioned this as a subject for the musical stage. Generally, I restrict family pics to Facebook but they are sufficiently disguised in this pic for my blogging public. 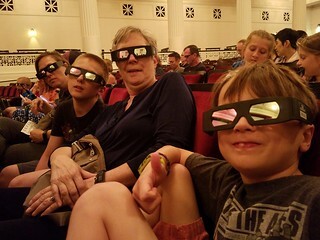 This is at the Field Museum just before we watched a 3D movie about ancient Egypt. Very informative. Having begun our travels at 4 AM yesterday we were worn out early but today is a new day. I quizzed my grandsons at lunch about Hamilton’s story and they are well prepared. I could add that Alexander’s “Kings College” was my Grandfather’s Columbia University and that it is next to, Grant’s tomb, whereas today we are next to Chicago’s, Grant Park. It’s a small world. A feverish little soccer player shook me awake at 2 AM this morning. After giving him ibuprofen and a cough drop he fell back asleep but I wasn’t so lucky. At 4 AM I got up and spent an hour working on my French. I caught a few z’s later in the morning on my office floor but basically need to catch up tonight because we are waking at 4AM tomorrow catch a flight to the Second City to see the musical Hamilton. The soccer player and his older brother will be on the plane with us along with their parents. We have three days in Chicago before I fly back. I wanted to put something in the blog because I may be too preoccupied with family to Keep my voters or my twelve loyal readers up to date. I said much the same thing to the Timberjay. About this little extravagance. My daughter and son-in-law flew to Arizona in the Spring to see Hamilton and fell in love with it. They have been playing the music ever since and my grandson’s have pretty near memorized all the songs. Its an incredibly sophisticated telling of one of the most important founding fathers Alexander Hamilton. Other than his appearance on the ten dollar bill most Americans know little of the man who built our nation’s finances. I am thrilled that my grandsons, aged 8 and 10 are imbibing this American history. Its better than Schoolhouse Rock. While we are in the Second City we will do a little sight seeing and enjoy some balmy weather. I’ll be prepared to blog more when I return…..and if KBJR does manage to put Pete Stauber and my appearance online I’ll try to link to it. Its almost 10PM and time for me to hit the sack and make up for this morning’s early wake up call.